Probably the biggest announcement was that the Microsoft’s newest console, the Xbox One X, is now available for pre-order (at least the Project Scorpio Edition). 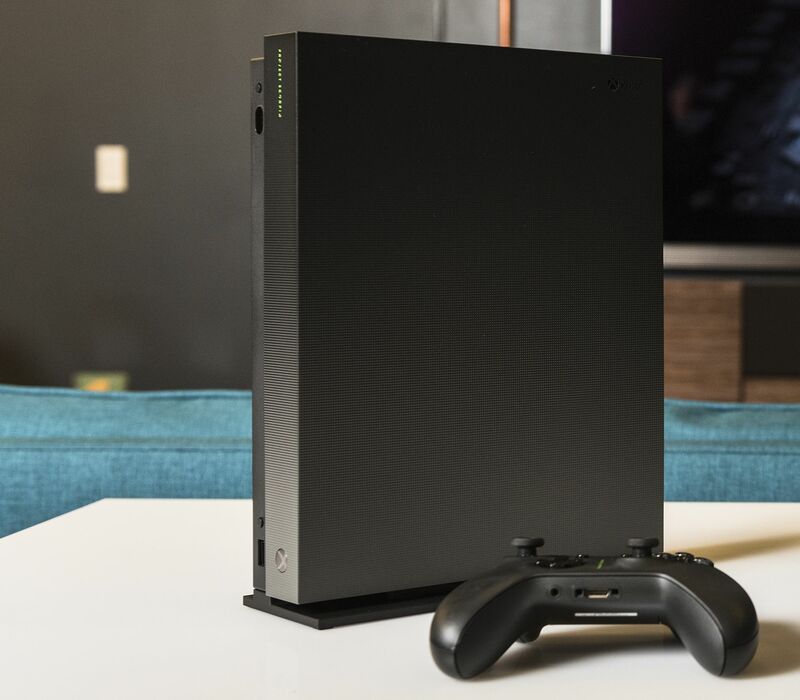 In addition to the standard Xbox One X, there will also be a Project Scorpio Edition which will have a custom-coloured vertical stand, the Project Scorpio on the console and the controller. 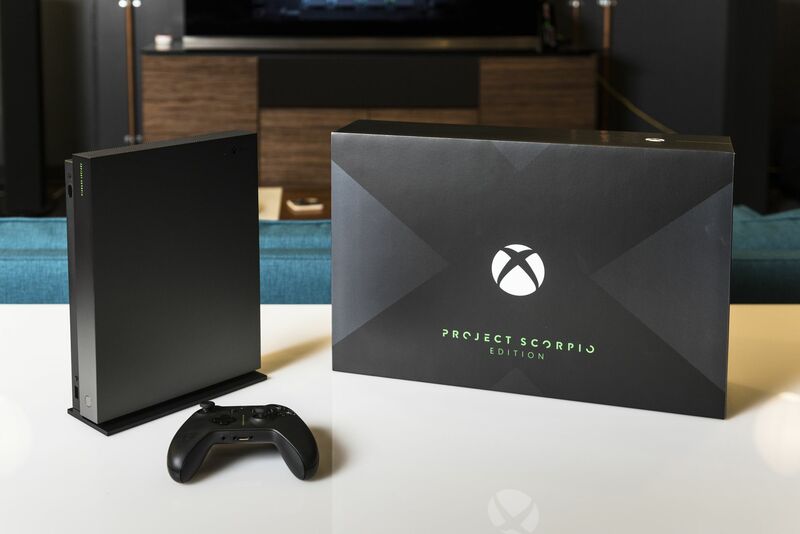 The Xbox One X Project Scorpio Edition is now available for pre-order (while supplies last) for $599 CAD ($499 USD / 449 GBP / 499 EUR) and it will launch on November 7th. In Canada, you can pre-order the Xbox One X Project Scorpio Edition from Amazon.ca, BestBuy.ca, EB Games and Walmart.ca (strikethrough means the retailer is out of stock). In the US, you can pre-order the Xbox One X Project Scorpio Edition from Amazon.com, BestBuy.com, GameStop, Microsoft Store (strikethrough means the retailer is out of stock). Also, Microsoft announced a complete list of games that will be updated to take full advantage of the Xbox One X. You can read the list on Major Nelson’s blog. Microsoft is also launching the Xbox One S Minecraft Limited Edition Bundle which includes a Xbox One S console that has the design of a grass block from the game, a Xbox One wireless controller that looks like a creeper from the game. The console will also include sounds from the game (similar to the engine start-up sound on the Xbox One Force 6 Limited Edition console). The bundle will include a full download of the game, the Redstone pack, some unique skin pack and be available in limited quantities in all Xbox One markets except China and Brazil on October 3rd, 2017. If you’re not interested in getting an another console, Minecraft fans will be able to pick up one of the two new Minecraft controllers. The two designs are the creeper (as featured in the Minecraft console bundle) and a pig from the game. 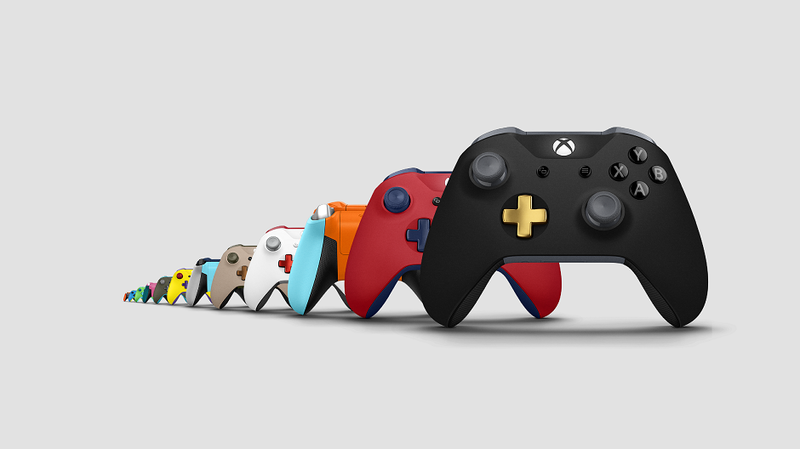 These controllers will be available in the US on September 5th at Microsoft Stores and Target and rollout out globally on September 12th, 2017. Microsoft is also releasing Xbox One S Shadow of War Bundles, these come with copies of Middle-Earth: Shadow of War, either a 500GB or 1TB hard drive, Xbox one controller, 1-month Xbox Game Pass subscription and 14-day Xbox Live Gold trial. These bundles will launch alongside the game in October. 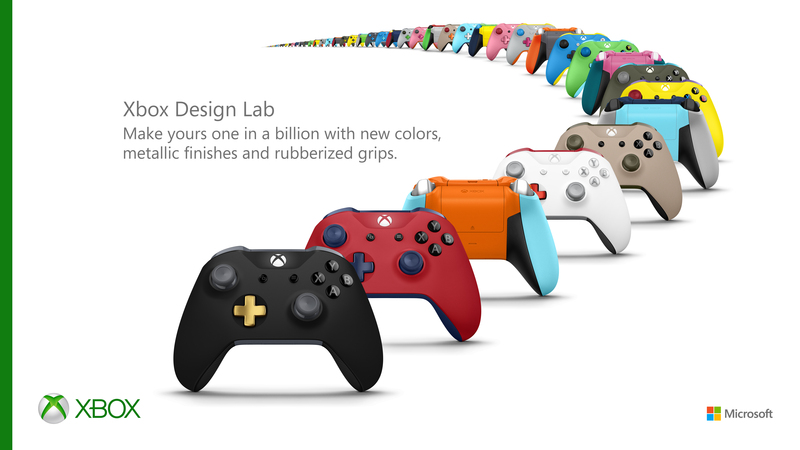 Microsoft is bringing their Xbox Design Lab controllers to more countries in Europe. 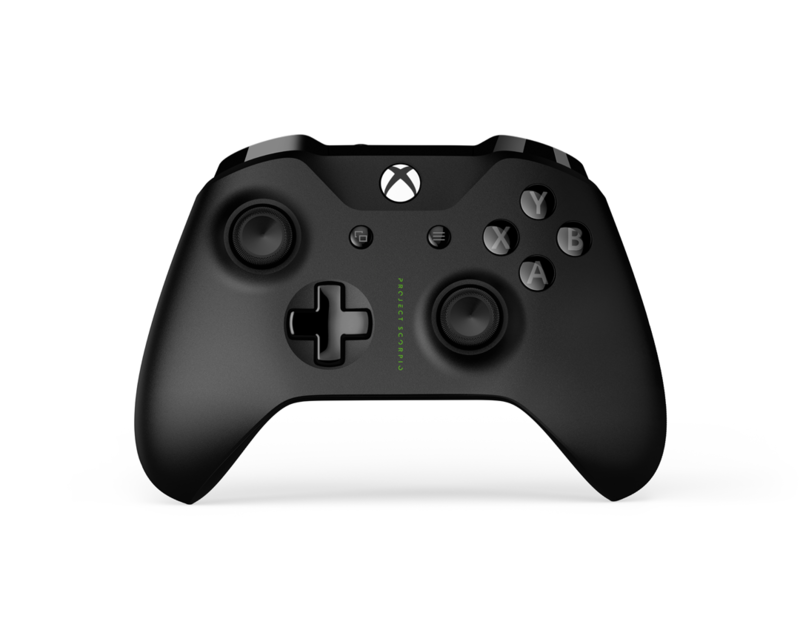 Starting August 22nd, Xbox fans in Austria, Belgium, Denmark, Ireland, Italy, Netherlands, Poland, Portugal, Spain, and Sweden as well as Bulgaria, Croatia, Cyprus, Czech Republic, Estonia, Finland, Greece, Latvia, Liechtenstein, Lithuania, Luxembourg, Romania, Slovakia, and Slovenia. Microsoft has announced ReCore: Definitive Edition which brings enhanced visuals (such as resolution and HDR) as well as a new quest called the Eye of Obsidian, a new robot companion and new customization options. The new edition of ReCore will be coming to Xbox Game Pass in September. ReCore: Definitive Edition will release on August 29th on Xbox One and Windows 10 and it’s a Xbox Play Anywhere title. You can build your own Jurassic World park in Jurassic World Evolution. The game is being developed by Frontier Developments (whose previous work includes Elite: Dangerous, Planet Coaster, Zoo Tycoon). Judging by the trailer, it seems like Jurassic World Evolution is going to be like a Zoo Tycoon-eque game. The game will be coming out in summer 2018 for Xbox One, PS4, and PC, and will coincide with the release of the Jurassic World sequel, Jurassic World: Fallen Kingdom. You can find out more about the game on Frontier’s website. Microsoft also announced 4K remasters of Disneyland Adventures, Rush: A Disney-Pixar Adventure and Zoo Tycoon: Ultimate Animal Collection. Disneyland Adventures will take you on a magical journey to explore the Disneyland park to enjoy quests and interact with your favourite Disney characters. The remastered version will have support for the Xbox One’s Kinect sensor but can also be played using a controller. All three of these remasters will be releasing on October 31st, 2017 on Xbox One for $39.99 CAD ($29.99 USD) and will support Xbox Play Anywhere. Rush: A Disney-Pixar Adventure lets players explore the worlds of six of the most beloved Disney-Pixar films. You’ll be able to team up with characters from The Incredibles, Ratatouille, Up, Cars, Toy Story and Finding Dory. The game launches on October 31st for Xbox One and Windows 10. The new Zoo Tycoon: Ultimate Animal Collection brings your dream to life in stunning 4K Ultra HD and HDR. You’ll be able to build, manage and maintain your zoo alone or with up to four friends over Xbox Live. The new remaster will also include animals from South America and Australia. The game launches on October 31st for Xbox One and Windows 10.